The Equalizer is back! Not sure if that should be accompanied by the sound of triumphant trumpets or a pathetic kazoo. 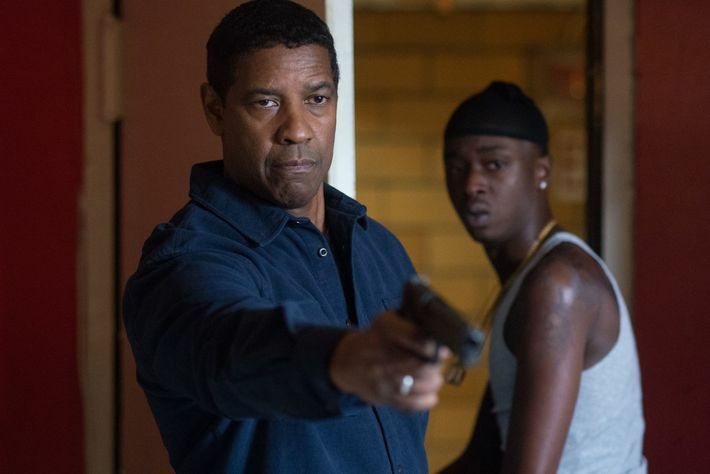 After the moderate success of the first film back in 2014, the same team who gave us the big screen spin-off of the 80’s TV hit which starred the late Edward Woodward, have returned including, for the first time ever, Denzel Washington making his sequel debut. In the eyes of most, this is a big thing. The question I have to ask is why did he choose this be his first? Robert McCall, the former CIA operative, now is a Lyft driver who listens to the stories of the downtrodden and hard-done-by and like an avenging superhero, puts right what has been done wrong. When a close friend is killed, McCall has to work out why and who is behind the crime and finds that because of his connection, he is a target. Antoine Fuqua is a decent director who has made some perfectly fine movies (Training Day, Southpaw) and some not so fine movies (Olympus Has Fallen). The Equalizer fell in between. A violent tale of a one-man army who can use anything at his disposal as a weapon to put the world right, as proven in the original film’s finale in the DIY store. What we have here is a retread of what has come before, only more formulaic and cliched, with a script that often is muddled and tonally messy. McCall is an interesting character. A man coping with grief, who can see the wrongs in the world and is determined to put them right any way he can. The film starts with some promise. A bizarre journey on a train to through Turkey where McCall, dressed as a Muslim, takes on a man who has kidnapped his own daughter to spite his former wife. A cool and as calm as they come, with his stopwatch to time his actions, McCall disperses the man’s heavy-build henchmen (because all bad guys must have them) before calmly sitting down to discuss terms with his now lonely villain. We are then reminded about McCall’s past (in fact, every chance we get) as we see his ordinary life, living in an apartment building with one of his neighbours tenderly working on her vegetable patch while a young man, Miles, dreams of becoming an artist yet is easily swayed to local gangs, turning McCall from neighbour to sage and father-figure to the lad. In between this, McCall drives around, picking up a variety of passengers in his car, listening to their stories and taking revenge on anyone whose plight hits him hard. A group of young rich kids come under attack from McCall after dumping a female intern, obviously drugged and abused, into his car. These flashes are the kind of things that made up the TV series and are the more interesting part of the movie. Where the film falls down massively is the revenge motivation that McCall has on those who killed his friend, which heads towards a finale in a deserted town during a hurricane that plays like a CGI heavy western. The film’s level of violence also has been upped, with McCall using anything he finds (credit cards, harpoons, flour) to kill off his victims in a brutal and nasty way. The question is, why did Washington choose this to be his first sequel? Is McCall that interesting a character? Thinking of his career, there are so many films that demanded a sequel, yet Washington has declined. He walks through the whole proceeding with a cool swagger and commands every scene he is in, yet he is let down in every opportunity with dialogue that is ropy and ill-conceived. 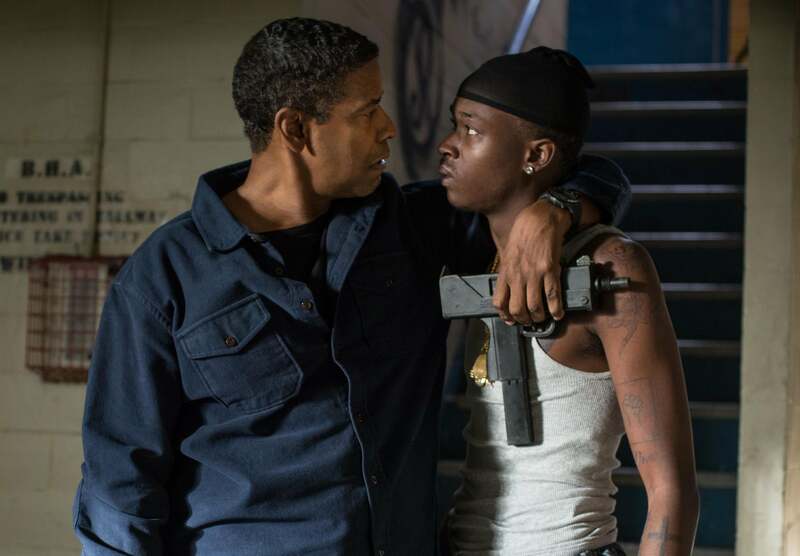 When demonstrating the dangers of gangland life to Miles, McCall says “You don’t know what death is!” even though Miles had told McCall earlier about his brother being gunned down in the street. Ashton Sanders, who made his debut in Moonlight, is the best and most realistic thing in the whole film. A young man who is torn between wanting his dream of being an artist and knowing that it won’t put food on the table. His is a story I would have rather followed than watching Washington slice and dice another worthy bad guy. 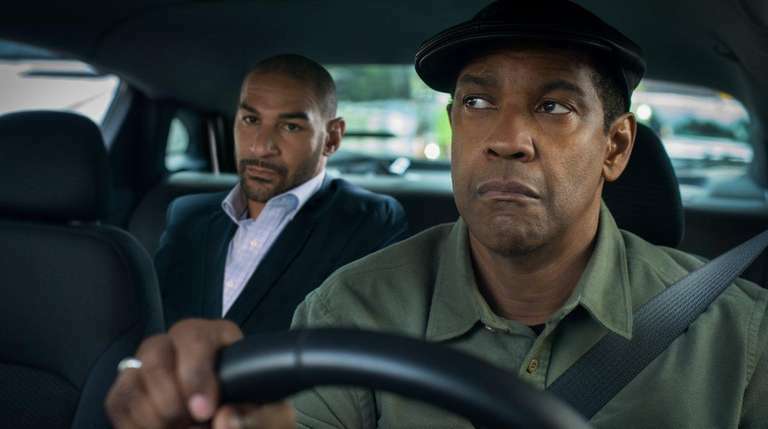 There will be those who will find The Equalizer 2 as exciting as the original and, by the reaction in the oversubscribed press screening I attended, they were lapping up the brutality (especially one fight scene in a car) yet when you get down to brass tacks, The Equalizer 2 is nothing more than a moralised version of Death Wish, Washington is the superhero without a cape and what’s worst is that the door is open for an Equalizer 3. Let’s hope Washington sees sense and says one sequel is enough.